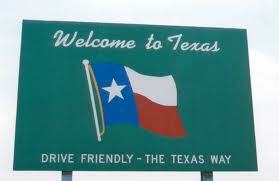 Everyone probably knows that the state of Texas is huge. The unofficial Texas motto is “Everything is bigger in Texas.” With such a huge piece of land, and a multitude of great cities to choose from, it can be really difficult to know which cities in Texas are the best. Movingquote.org has done some serious research to find out. It was not easy getting the Texans to cough up what they think are the best cities in their great state, but we managed to do it for you. Here are the best places that Texans like to call home in no particular order. San Angelo is a very popular place. There are around 95,000 people that call the city of San Angelo home. The city is rather large too. It sits on over 58 square miles of land. That means that there are around 1600 people per square mile. This is not exactly what most people would call small town living. If you like flowers, then you will love Tyler Texas. It has been called “The Rose Capital of The World.” The streets are lined with Rose bushes, and Tyler is home to America’s largest rose garden. There are over 96,000 people that call Tyler Texas home. The city takes up just over 54 square miles of land, and the people are packed in at over 1700 people per square mile. Tyler is also home to Caldwell Zoo. The population in Lubbock is pretty big. It is keeping in line with the rest of Texas. There are over 230,000 people sharing 123 square miles of land. Lubbock is also home to three large universities. Lubbock is not going to give you that small town feel, so if that is what you are looking for, don’t move to Lubbock. This area is not yet a city, but if you are looking for that small town feel, then Blue Berry Hill has got you covered. There are only around 900 people that call Blue Berry Hill home. These 900 residents share just under 3 square miles of land. This means that for every square mile, you will find about 330 people. There is not a city in Texas that has that small town feel quite as much as Cove does. There are under 400 people living in Cove Texas. Cove sits on 1.3 square miles of land. There are smaller towns in Texas, but this is about as small as they get. We can’t close the best cities in Texas with the smallest one in the list. Austin is the capital of Texas, and it lives up to being large. The city sits on over 251 square miles of land. There are just under a million people living in Austin. If you want the big city, and you want to find it in Texas, then Austin is the right place for you. Next post: Are You Thinking About Moving To Houston?